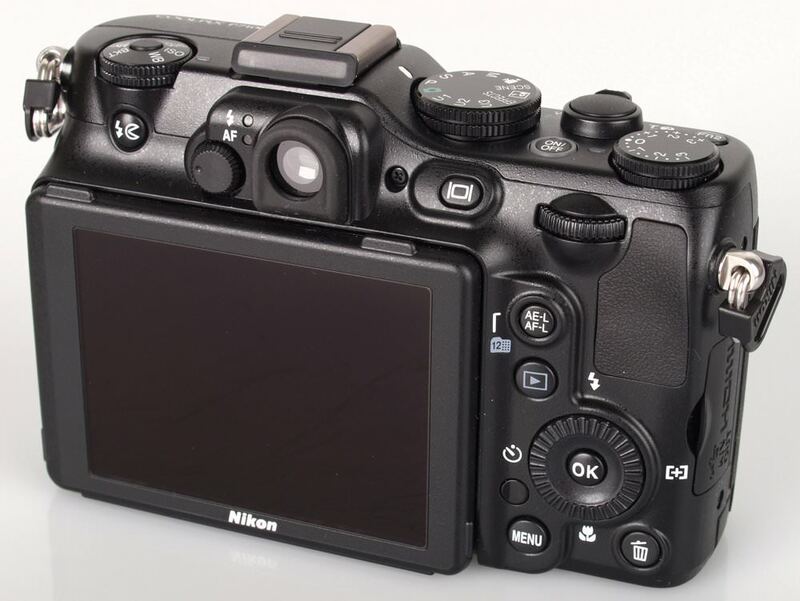 Joshua Waller reviews the new Nikon Coolpix P7100 - the update to the Nikon Coolpix P7000, have Nikon got a Canon beater on their hands? 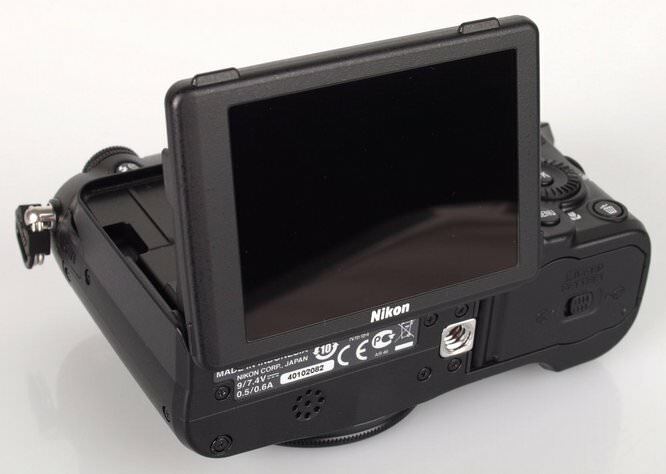 The Nikon Coolpix P7100 is the update to the Nikon Coolpix P7000 adding a front dial, tilting screen and according to Nikon "Enhanced high speed performance, quick response, a new user interface and HD movie recording." They also moved a few of the buttons around. Handling - A redesigned front grip and a new front "Sub-command dial", a redesigned rear thumb grip, (previously there was a button there, but it's now been moved) and the tilting screen are the most obvious changes compared to the previous model. There is an optical viewfinder with an 80% view. The viewfinder is quite small but could be handy in extremely bright outside weather. The camera is quite big, but when switched off it will fit in baggy trouser pockets. The top left dial is the "Quick menu dial" and on the back is the "Main command dial", as well as the "Rotary multi-selector" surrounding the OK button. There is a basic 24 page printed manual, with the full 260 page manual on CD. The exposure compensation dial is quite useful, and when you have this on, a small orange light is lit up. Menus - The menus are split into the usual Photo / Playback and Setup - they are clear and easy to read. Another set of menus are accessible through the Quick Menu Dial where you can set Quality, ISO, WB, Bracketing, My Menu and Colour. Colour options are: Standard, neutral, vivid and black and white with each of these customised so you can set sharpness, contrast and saturation. The black and white option lets you set a colour cast, such as sepia and cyanotype (blue), as well as set a filter effect (yellow, orange, red, green). 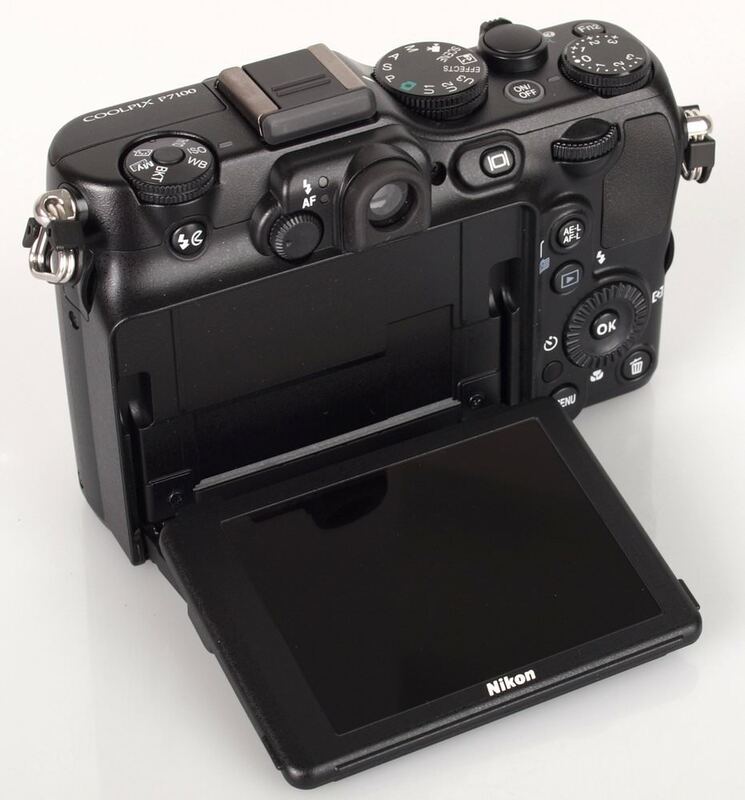 The function buttons can be customised and you can set function 1 to MF, Metering, Continuous, Flash exp. compensation, Active D-Lighting and Manual flash level (when used in combination with a command dial) and function 2 to Virtual horizon, view/hide histograms, view/hide framing grid and built in ND filter. 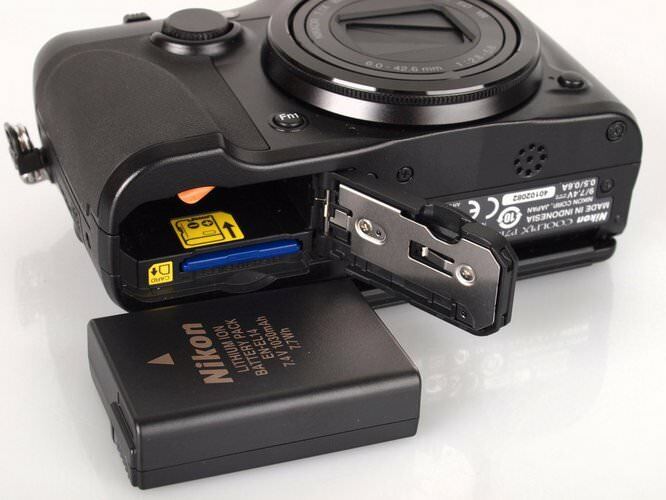 Battery Life - Rated at 350 shots (according to CIPA standards), we were able to take just over 350 shots with a fully charged battery, this is quite good compared to a number of other compact cameras. Speed - We took a number of shots to test the camera's responsiveness, from switch on to first photo, shot to shot, focusing speed etc. We take a number of shots and then use the average to ensure accurate and consistent tests, making it easy to compare with other cameras. We have shown the Panasonic Lumix GF3 here as a comparison. Focusing and shutter response is quick, although continuous shooting and shot-to-shot time isn't especially impressive. Menus are quite quick, and once you get used to setting the controls, this becomes quite quick as well. The photos shown here show good skin tones and colour, with low red eye in the portrait shot. Colour outdoors is good with good levels of detail. The backlighting mode does a good job to bring out detail in the close shadow areas of the image, although the use of flash has reflected badly on the post. Use of the HDR mode was attempted here, but due moving subjects (tree leaves, and people walking) there was some strange ghosting on the image - which would have been resolved if the camera had a quicker continuous shooting mode. The lens produces good quality images with good detail in both wide and telephoto shots. The shot of the trees shows fairly low purple fringing and detail is good. The macro shot shows the camera's lens can get close to the subject, at just 2cm away from the front of the lens, although this is at wide-angle. There is some barrel distortion when shooting wide-angle shots, however this wasn't too obvious in general shots and the camera gives you the option to turn on distortion control. ISO Noise performance: Low noise ISO100, Low noise ISO200, Even low noise at ISO400, with some grain (noise) beginning to appear. Quite low noise at ISO800, with detail and edges becoming slightly less detailed, and some colour loss. Noise increases at ISO1600, but images still appear usable. At ISO3200 noise becomes more dominant and colour loss more pronounced. ISO6400 shows the most noise, the most colour loss and would be best used on the web resized, or with some additional processing. Auto white balance: There are a number of white balance options including Auto, Auto (warm), Incandescent / Tungsten, Daylight, Fluorescent 1, 2, 3, (We used 1), Cloudy, Flash, Choose Colour Temp, Preset Manual 1, 2 and 3. Auto white balance does an excellent job and you may find that you very rarely move away from AWB. Digital Filters / Effects: A large number of effects available, some of these allow you to customise the effects strength or change amount of grain (in the black and white mode) and there are additional options within the scene modes, such as: backlighting and HDR shooting where the camera will automatically put together 3 shots. Video: Video is recorded at 1280x720 at 24fps, with stereo sound, and optical zoom is available - an example using optical zoom can be seen on the ePHOTOzine youtube page - and the camera even includes a microphone socket. Options are single AF, or full time AF and Wind Noise reduction On or Off. 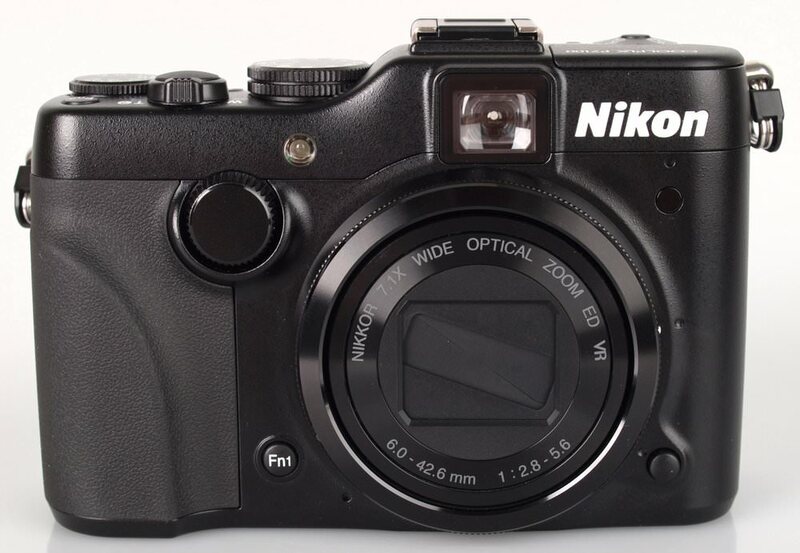 The Nikon Coolpix P7100 is available for around £430, which seems a little high in comparison to the competitors available, although few have as much zoom and one would expect the price to drop over time. Alternatives to consider include the: Canon Powershot G12 (5x optical zoom), Olympus XZ-1, Samsung EX1/TL500, Fujifilm FinePix X10, Panasonic Lumix LX5, (the larger "serious compacts" available). Or alternatively you could consider the mirrorless cameras which are available for similar money - although you would most likely need to carry two lenses to get the same optical zoom, or use a larger lens. If you use manual mode and like to set the shutter and aperture, then the new dial makes a lot of sense, you can use the one on the front for aperture and the one on the back for shutter speed. But if you don't use the camera in manual mode, then it seems that the front dial is mostly just a duplicate of the back dial / or inactive in other modes. Is this of benefit? Perhaps, depending on which you find easier to use. It's just a shame that you can't set it to set the ISO using the dial, instead having to press the Function button and then use any of the command dials, front or back, to change the setting. 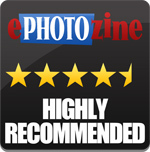 It's the kind of camera that you may need to spend a little time getting to grips with, and perhaps even a couple of hours in the manual reading how to get the best from it. Images straight from the camera look great, with bright colours, good detail and good performance at both wide and telephoto settings, with low noise. Video quality is good, although 720p is looking a little dated now, but if you only shoot the odd video then it should be adequate. 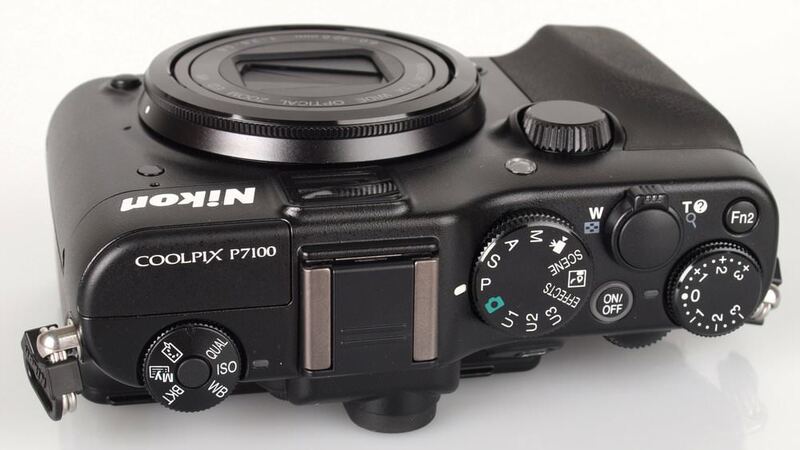 Thankfully I didn't experience any of the problems that we had with the P7000, so it looks like Nikon has looked at all the feedback and made sure that these problems don't continue into the P7100. The camera has quick focusing and shutter response, although continuous shooting is a little slow. With baggy pockets the camera will fit in your trousers which makes taking it with you easy, and the amount of zoom available and ability to shoot RAW is a nice bonus. 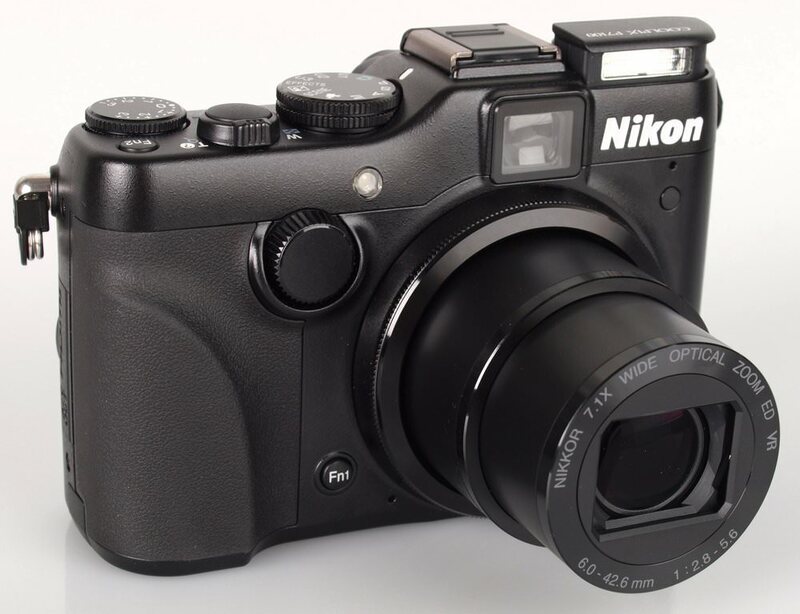 The Nikon Coolpix P7100 has a good zoom lens and the tilting screen is a nice update. Another informative review Josh, thanks.